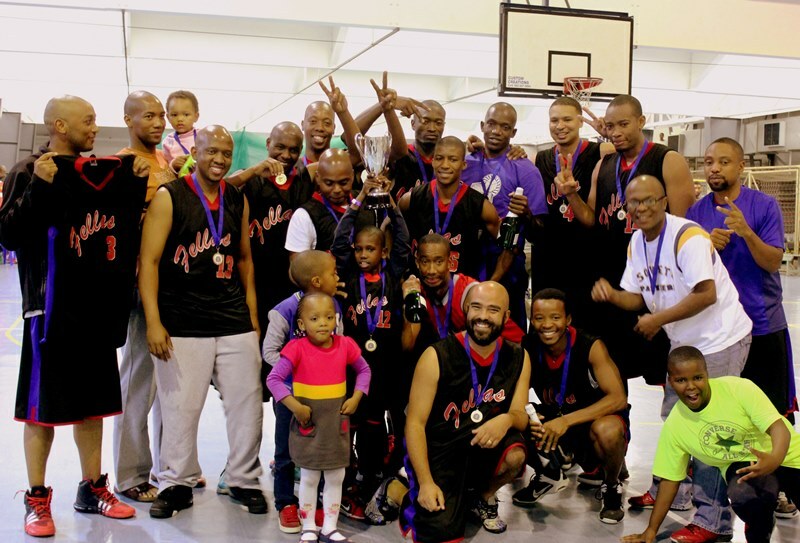 Johannesburg, Wits University — Goodfellas have defended their 2013 title and gone on to a famous two-peat in 2014. The final was a hard won battle against Wits University with the final score 79 -65. In the end Fellas, led in chief by Tsakani Ngobeni and Quintin Denyssen, was just too much for the young varsity team. Finals have a habit of being cagey and uneasy at the start. It doesn’t matter who you are, when you’re playing for all the marbles in a do or die battle, the nerves are always an issue. And here you don’t get seven games to figure your opponent out. The adjustments are immediate and in-game as opposed to in-between games. One minute you’re at the grinding end of the regular season trying to freshen up for the playoffs and the next thing you look around and you’re on centre stage and the lights are on bright. This is the ICSL. Welcome to the dance. In that situation the betting man would go for experience. You want somebody that’s been here before, somebody that knows their way around the dance floor, has all the dance moves and knows just when to break each of them out. Fellas were the experienced team going into the final and it showed. If the spin is a dance move then that’s what Fellas came out with because they had Wits in it from the get go. And as it was scripted the seasoned veteran Denyssen dropped a scorching 15pts in the opening period to put Wits in early trouble. There was no answer for him. The ability of the big veteran to stretch the floor out to the arc complicated defensive patterns that had to account equally for the physical presence of Ngobeni on the inside and timely addition of quickness and shooting of guards Tshepo Sehume and others on the perimeter. Denyssen thrived in the gaps created. The Wits defence seemed like it was covering a football field sized basketball court. Inside, outside. All day. Questions. No answers. It must be said that Wits lost starting centre and senior Rorisang Mabotja who went down early in the 1st with a dislocated shoulder. It was unlucky for the young man who was a monster in the semi-finals against Nuggets and generally does a great job commanding the paint for his team. The final was never going to be easy and with him out for essentially the entire show Wits needed someone to learn his lines quick. Nobody did. And the curtains closed on the opening period with the score 29-13, Fellas firmly in control and Wits needing a change in the music. REEEEMIX!!!! If Chris Brown’s “friends” aren’t loyal then neither is a basketball. The bounce of the ball goes with whoever is hot. And the students are the ones who came out with a little heat in the second stanza. There’s something to be said about the young students. In some way it’s fitting that they should have a slow and studied approach to the game. In the semis Wits was down 12 in the first quarter to a Nuggets team that was unbeaten in the regular season. It was another experienced team led by a veteran in Neo Mothiba (13pts in the opening period) that started the game blazing. Wits came back in that game with some lock down defence holding Nuggets to 12 and 14 in the 3rd and 4th. No surprises here cause we had seen it before in the regular season with the comeback win from 25+ down against the hapless Phenoms who were held to just 7 in the final period; trademark Wits. And they would do it again in the finals holding Fellas to 10 and 15 and nemesis Denyssen to just 2 points in the middle periods. Ngobeni did his best to hold Fellas together but the comeback was on; Wits University Defence™. The teams entered the 4th with Wits still fighting for a dream debut season in the ICSL and Fellas holding on to a title they won in overtime a year ago. There was some to and fro at the start of the quarter and teams traded salvos until the teams entered the final 5 minutes of a game on the line; the Tunnel. Only the great teams make it out the Tunnel. After a long road filled with the scenery of excited fans on the side lines, good calls, bad calls and the ups and downs of runs eventually that moment comes when darkness falls and all scenery gets zoned out, the only disturbance a light at the end of the Tunnel; glory. The good teams keep their heads up with eyes firmly fixed on the light. Focused and unwavering. Others wonder about the darkness; about what lies there. Turns out Denyssen lay there. The wily veteran scored 13 points in the final period and all of them huge daggers that buried Wits. The final breadth was snuffed out with Wits down 5 and making one last push with excellent scramble defence on the perimeter. 5 seconds on the shot clock. Fellas struggled to control the ball and Wits nearly forced the turnover with the ball going loose headed for the halfway line. 3 seconds. Ball recovered by Fellas near the half court. 2 seconds. Wait. The ball was recovered by Denyssen. Snap. Wrong guy Wits, wrong guy. Shot…buzzer…money. Veteran Swag. It was a massive play that left Wits 8 down and a little too much to do in too little time. It killed their spirit. We’re sure some stuff happened after that. But that really was it. The ball fell into the right hands at a key moment. Denyssen finished with 30 points, Ngobeni 19 and Toka Motaung 9 for Goodfellas while Wits was led by Jonathan Van Der Bijl, Dylan Whitbread and Rodney Genga who had 14, 12 and 11 respectively. The two-peat was complete and watching Fellas during the medal ceremony and the ensuing celebrations you couldn’t help but wonder whether this was indeed a budding dynasty in the making. People throw around the word dynasty a little too easily at times. It’s tempting. We want to see greatness. We might just be witness. 2015 will tell.